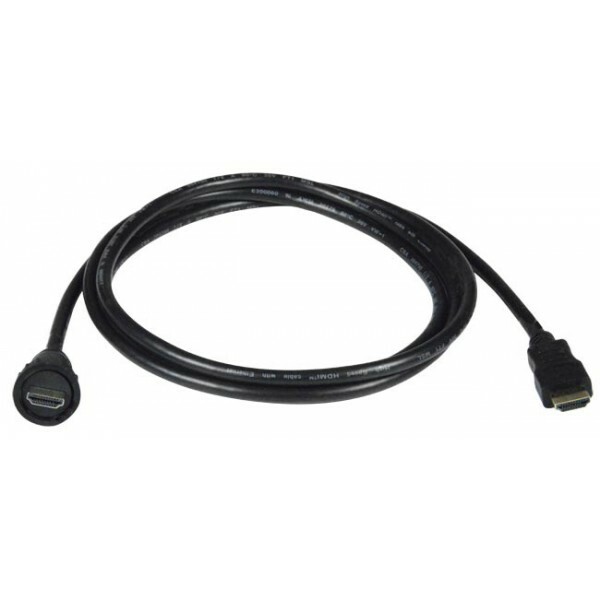 VPI's Waterproof HDMI Cables provide IP67-rated watertight 1080p HDTV connectivity in harsh industrial environments. Waterproof male HDMI Type A with cable gland to standard male HDMI Type A connectors with cable glands. For harsh industrial environments, such as factory automation, or outdoor installations where HDMI cable needs to be run from a dry location to a wet one. Ideal for outdoor use in entertainment, broadcasting, AV billboards, boats and more. Supports high-definition video, multi-channel digital audio, HDMI Ethernet Channel, Audio Return Channel, and Additional Color Spaces. 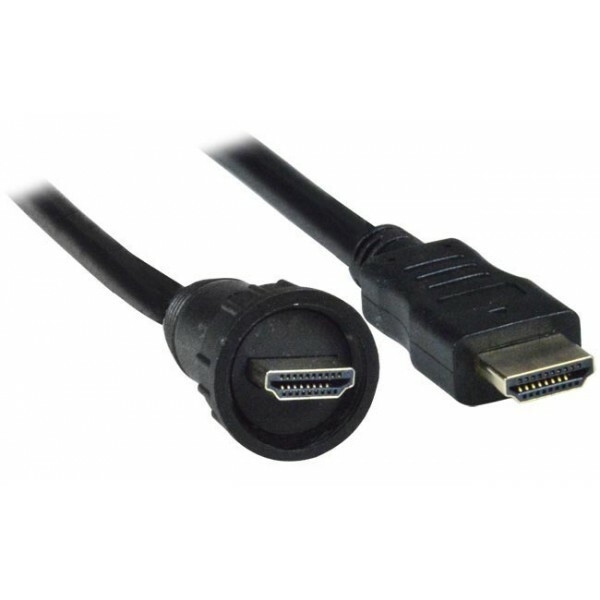 Requires HD-WTP-FF-CS case side connector for complete connection. Connectors: Waterproof male HDMI Type A to standard male HDMI Type A. Supports HD resolutions to 1080p at 60Hz.